This invaluableВ resource presents a state-of-the-art account of the psychology of pain from leading researchers. 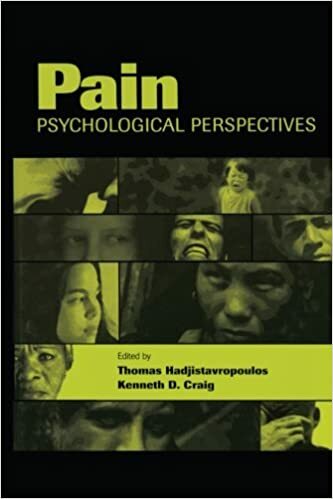 It features contributions from clinical, social, and biopsychological perspectives, the latest theories of pain, as well as basic processes and applied issues. The book opens with an introduction to the history of pain theory and the epidemiology of pain. It then explores theoretical work, including the gate control theory/neuromatrix model, as well as biopsychosocial, cognitive/behavioral, and psychodynamic perspectives. Issues, such as the link between psychophysiological processes and consciousness and the communication of pain are examined. Pain over the life span, ethno-cultural, and individual differences are the focus of the next three chapters. Intended for practitioners, researchers, and students involved with the study of pain in fields such as clinical and health psychology, thisВ book will also appeal to physicians, nurses, and physiotherapists. Pain is ideal for advanced courses on the psychology of pain, pain management, and related courses that address this topic.